add new classes to a script, if necessary. A class can be added both before the main ReportScript class and after it. rename the namespace which contains the main class. select Report in the drop-down list on the Properties panel. Each report object has several events, to which you can assign a handler - a method from the script. 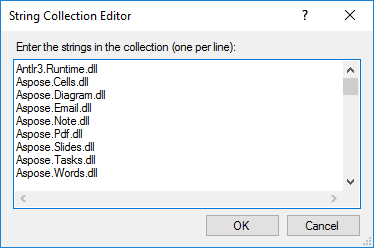 For example, you can filter entries in the handler bound to the Data band, i.e. hide or show in the band depending on certain conditions. At the start of the report, the StartReport event of the Report object is called. Before generating the page the StartPage event is called. This report is called once for each report template page (not to be confused with the report pages in the web part). In this example, no matter how many pages the report has on the web, the event is called once, since the report template consists of one page. the AfterPrint event of the band is called. Band rows are generated until there are data in the source. After that, the report generation is complete and the FinishPage event of the report page is called and finally, the FinishReport event of the Report object is called. Thus, using events of different objects, you can control almost every aspect of report generation. To use events correctly, you need to fully understand the process of generating bands. 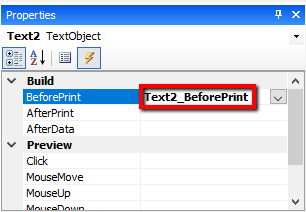 Most of the actions can be performed using only the BeforePrint band event – any changes made to the object will be immediately displayed. But you cannot tell in this event on which page the band will be displayed if it is stretchable because the band height is calculated at step 6. You can do it using the AfterLayout event in step 7 and the AfterPrint event in step 10; if you use the latter, the band will already have been generated and actions with objects will not have an effect. You must clearly understand when each of the events is called and use the most appropriate ones. 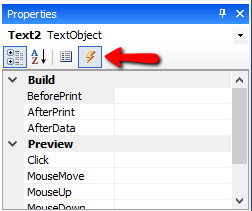 In addition, you can use any objects, defined in FastReport assemblies. If you need to access another assembly, add its name to the list of the report assemblies in Properties - Report - Script - Referenced Assemblies. To make the work easier, use the Data panel. You can drag data elements to the script from there, while FastReport automatically creates code for referring the element. The list of system variables is displayed on the Data panel. You can drag variables to the script from there, while FastReport automatically creates code for referring the variable. 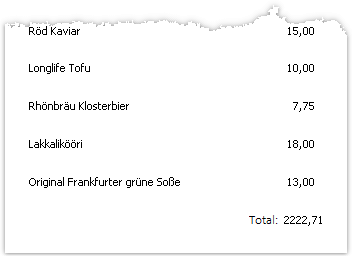 The list of total values is displayed on the Data panel. You can drag total values to the script from there, while FastReport automatically creates code for referring the total value. You can refer to a total value once it has been calculated. Usually, a total value can be used when generating the band where it is placed. Parameters have a certain data type. It is specified in the DataType property of a parameter. Keep this in mind when referring a parameter. Parameters are displayed on the Data panel. You can drag parameters to the script from there, while FastReport automatically creates code for referring the parameter. reference to a database field from the script. a local variable, whose value will be displayed in the report. 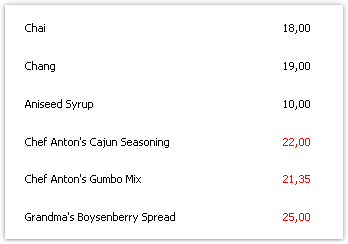 You can add the Products.UnitPrice table field to the script by dragging it from the Data panel.